What an awesome idea for a painting party!!!! 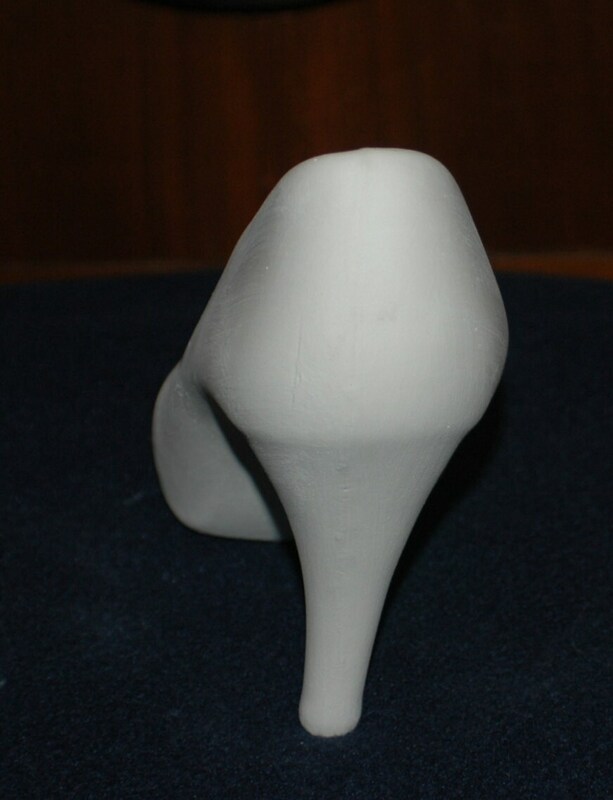 Fired to cone stage 4 this shoe can be painted in either stain or glazes. 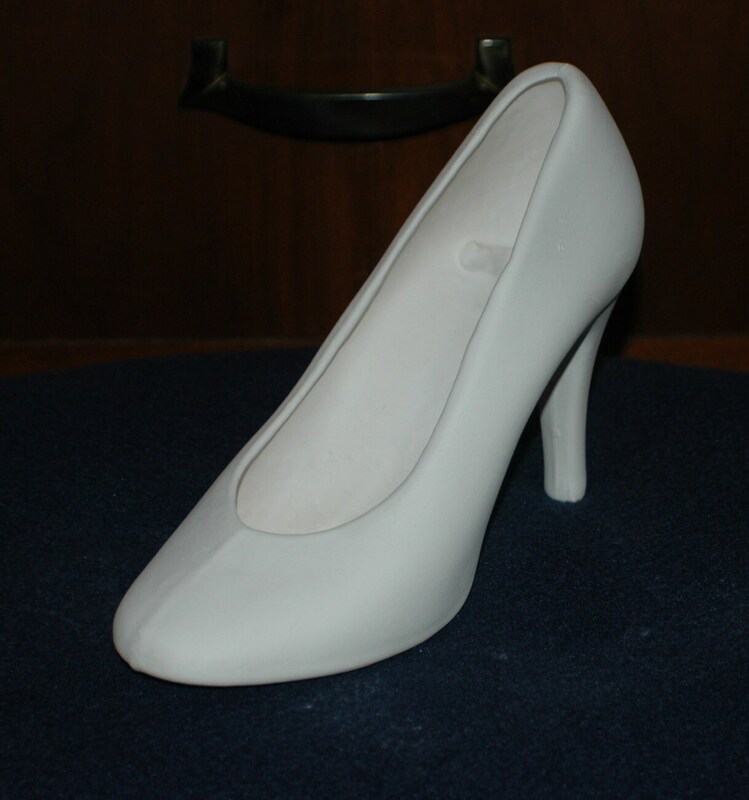 The shoe measures approximately 7 inches in length and is approximately 5 inches high. The opening measures approximately 2 to 2.5 inches wide. 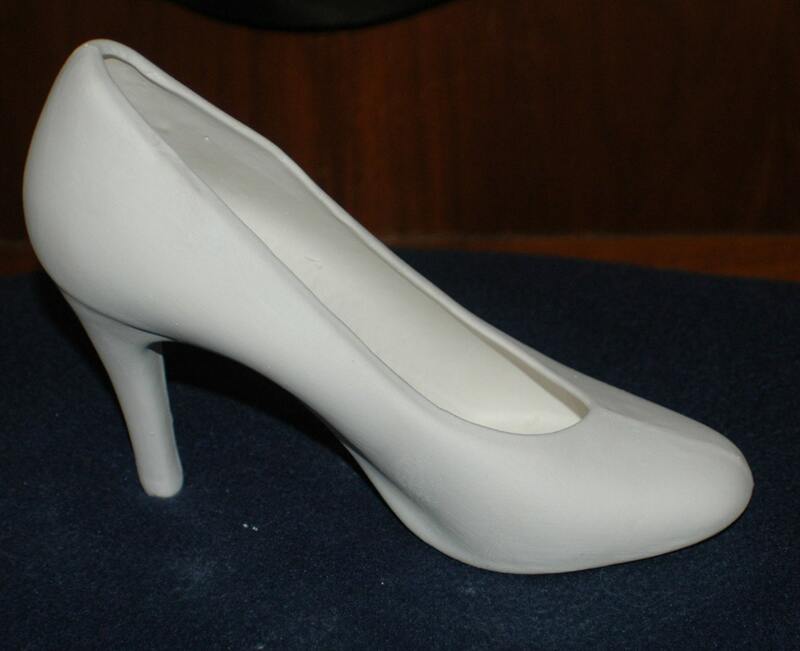 All shoes are made when ordered. Just let your imagination go! Add glitter, rhinestones or just paint them with your favorite acrylic paint these timeless creations make a great jewelry holder, planter, vase, centerpiece or even a cellphone holder! The ideas are endless!